Mid-East 22 Inch Kemenche 3 String Bow Rosin & Gig Bag . Kemenche, 3-string with Rosin & Case KEMC This 3-string kemenche is very light weight and only 22 inches long by 4 inches wide, the peg box is 3 inches deep. 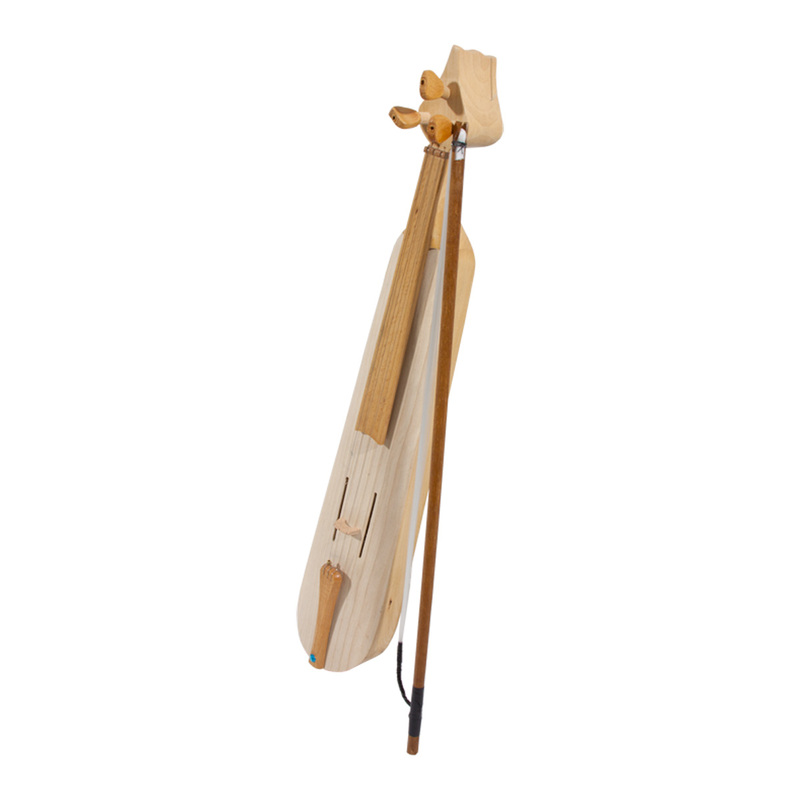 It comes with a movable bridge that must be positioned between the sound holes of the soundboard, a bow, rosin and soft gig bag. Decorations may vary from photo. The Kemenche is a bowed spike fiddle native to the southern shore of the Eastern Black Sea. It has been called the Black Sea Fiddle, the Pontic Lyra or the Karadeziz Kemencesi. It is played with a bow, in the upright position. Rest it on your knee when sitting, or hold out in front when walking and dancing. The strings are pressed straight down onto the fingerboard like a violin. 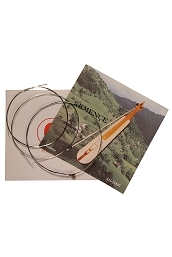 The bow is a simple, historic, design requiring your thumb or finger to tension the synthetic hairs as you play. When playing, two or all three strings are bowed at the same time. The open strings sound as a drone to the melody. The close proximity of the strings allows double stopping, drones, trills and other embellishments.